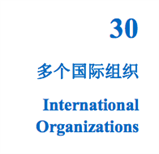 Joint Governmental sponsors for the forum include the National People’s Congress of the People’s Republic of China, Committee of Population, Resources and Environment of CPPCC, the State Council Leading Group Office of Poverty Alleviation and Development, Ministry of Science and Technology, Ministry of Environmental Protection, Ministry of Commerce, Ministry of Housing and Urban-Rural Development, National Tourism Administration, State Forestry Administration, and Guizhou Government, etc. Meanwhile, many cities and NGOs also give us critical supports as supporting organizations. International organizations have actively participated in the forum. The forum has had guest speakers from United Nations Development Program, United Nations Educational, Scientific and Cultural Organization, United Nations Industrial Development Organization, United Nations Asia & Pacific Center for Agricultural Engineering & Machinery, World Bank, ICLEI, World Wide Fund and Asian Development Bank. Green education and research has become one of the highlights of the forum. We engage with top universities from all over the world, such as Peking University, Tsinghua University, Tongji University, Zhejiang University, Fudan University, Shanghai Jiao Tong University, Yale University, Columbia University, Stanford University, Cornell University, University of Washington, University of Cambridge. Until now, the accumulated number of attendees has broken through 10000. High-profile attendees include Li Yuanchao, former member of the Political Bureau of the CPC Central Committee, Vice president of the People’s Republic of China Zhang Gaoli; Member of the Political Bureau of the CPC Central Committee, Vice Premier and the Deputy Secretary of the State Council Leading Party Members’ Group; Du Qinglin, Secretary of the Secretariat of the CPC Central Committee and Vice Chairman of the CPPCC. And several Vice Chairman of the CPPCC, chairman of Committee of Population, Resources and Environment, Minister of National Development and Reform Commission, and Minister of Health. Famous foreign politicians include Kevin Rudd, Former Prime Minister of Australia; Tony Blair, Former Prime Minister of United Kingdom; Gerhard Schroeder, Former Chancellor of Germany and many other honourable figures. Leading companies that attend our events include Agricultural Development Bank of China, China Galaxy Securities Co., Ltd., IZP Group, China Merchants Bank, Taikang Life Insurance, China Energy Conservation and Environmental Protection Group, Cisco, IBM Microsoft, Coca Cola, Gree, Huayi Bros Oracle, GE China, Foxconn, Apple, Schneider Electronics, Toshiba China, Intel, Philips, etc. Eco Forum Global Annual Conference Guiyang has attracted the attention of many national and international media groups, including Xinhua News Agency, 21st Century Business Herald, South Weekend, TVBS. News of our event has also appeared in leading media, such as People’s Daily, Guangming Daily, CCTV, Phoenix TV, CBNN, BBC and Time Magazine.